Can We Trust the Kurds? Two important meetings in Europe this week are shaping the future of Turkey and Iraq with serious implications for the Assyrian populations in both countries. Nine official Assyrian representatives will join key opponents of Saddam Hussein at a three-day meeting in London beginning December 13 to discuss a common political platform for the future of a post-Saddam Iraq. Representatives of the five permanent members of the UN Security Council, delegations from Iran and Turkey as well as observers from the European Union will also be attending this meeting. The most important goal of this meeting is to review the draft document called the Transition to Democracy in Iraq, drawn up by the main opposition parties and prominent independent figures in exile – including Professor Emanuel Kamber – Assyrian political activist and human rights advocate. President Bush has appointed Mr. Zalmay Khalilzad as special envoy and ambassador for the Iraqi opposition. He will be joined by Under Secretary for Political Affairs, Mr. Marc Grossman and Deputy Defense Minister, Paul Wolfowitz. This week the State Department met with former Iraqi officers to discuss the future Iraqi army. The Pentagon plans to build an army of 5,000 or more men within the next few weeks to three months to move into Kirkuk region and prepare for additional support before the invasion. This small army will also act as a buffer to keep the 50,000-100,000 armed Kurdish men from claiming territory after the demise of the Baathist power in Baghdad. Reliable sources to Zinda Magazine indicate that a very small percentage of this army may consist of Assyrian fighters from the North. As many as 400 Assyrian men until recently were receiving training for combat. The number may be increased to 2,000 as more funding for training and supplies is received from Washington. Sounds familiar? The quick transformation of Zowaa’s Looyeh to the Assyrian Levies may have been the major impetus behind this week’s decision by President Bush to include the Assyrian Democratic Movement on the list of the opposition groups receiving military assistance. Across the North Sea in Copenhagen, the European Union this week is asking ten more nations to join the EU. One of these ten nations is Iraq’s neighbor to the north, Turkey -- the most important ally of the United States between now and the imminent invasion of Saddam Hussein’s Iraq. Turkey is to become the only Moslem member of the EU. It will also join the European Union with a mottled record of human rights abuses against its Christian populations and the Kurdish people. The continual imprisonment of Soner Onder and Leyla Zana must be a quick reminder to the EU representatives blinded by their claims to sending a “positive signal” to the Muslim world. Turkey is not ready to adapt to the democratic values of the west and has in the recent past denied the rights of her own citizens. The arrest of Father Akbulut, an Assyrian priest in southeast Turkey, was a prime example of Turkey’s mistreatment of non-Turkish ethnicities. He was charged with treason for speaking about the unjust massacre of the Christians in 1915. This week the Assyrian Democratic Movement released an important document urging the recognition of the Assyrian Genocide in the hands of the Turkish government between 1915 and 1923. Two weeks prior four members of the European Parliament also voiced similar opinion. Read these documents in this week’s News Digest. EU countries believe that by expanding their dominion and decreasing the isolation of their larger non-aligned neighbors they can prevent future security threats to Europe. An isolated Turkey, they believe, may become a pariah state similar to Saddam’s Iraq if not integrated into EU. The rights of the Assyrian people in Turkey and Iraq may once again be discarded in Europe’s rubbish cans if immediate consideration is not applied to the regional security threats to Assyrians of North Iraq and Southeast Turkey living among millions of a people bound by a common non-Christian and undemocratic heritage. The formation of an Assyrian army in North Iraq is premature and unnecessary. With the thinning Assyrian population in Iraq, the loss of even one Assyrian life must not be tolerated. A well-trained Assyrian military team, backed by the U.S., should only be employed to defend the Assyrian villages and properties in the event of hostile attacks from the Moslem groups after the removal of Saddam Hussein. At the 2004 Olympics which will be held in Greece, the sport of women’s bodybuilding may be introduced as a demonstration sport, leading to a permanent Olympic event. One female athlete and aspiring bodybuilding competitor from Chicago is focusing on a seemingly unreachable goal with a fierce determination. She’s already capturing the attention of the sports critics in North America with every successful victory in her competitions. Her long blonde hair hanging down to partially cover the outline of her shapely muscles and strong physique can easily beguile the most vigilant of her admirers. Nancy Oshana is indeed a proud Assyrian-American immigrant from the ancestral land of Bet-Nahrain. Nancy, 28, is a Tyari-Assyrian from Tel-Tamar, a small village in Syria. She moved to the United States at the age of 10 to receive an American education. He parents sent Nancy and her older brother to live with their relatives in Chicago. By 1996 Nancy had begun an intense weight training regiment. Immediately she noticed great results and received countless compliments. Not long after She decided to compete at the official fitness and bodybuilding events. She trains hard and follows a strict nutritional diet prior to any competition. As expected her diet is high in protein and low in carbohydrates. She trains about five days a week. Two years ago she made a major career move and followed her ultimate passion – fitness and body conditioning. Nancy became a full-time personal trainer and entered several Figure Competitions. What could be better: working and training at the same time and place. “I really get a satisfaction from my career now, because I help change peoples lives every day”, comments Ms. Oshana. The path to national recognition for any woman bodybuilder is extremely difficult. To establish oneself one must have to compete in bodybuilding shows, fitness competitions, and swimsuit exhibitions. But Nancy has already done so much more by simply breaking down gender barriers within her own Assyrian community. Nancy is devoted to turn her body into the best it can be. She is patient, persistent, and has specific goals in mind: “To get in the best shape of my life and enter every national competition in 2003 to turn Pro. Fitness to me is a lifestyle, so I am going to keep on going until my dreams come true." She is already a U.S. national level competitor. A few months ago at the 2002 NPC Junior National Championships, Nancy ranked seventh in her division. But her immediate goal is to turn Professional in her class, a move which will surely open up several modeling opportunities for her. Hard work and a proud and noble heritage will bring Nancy the confidence she needs in the upcoming competitions. Bodybuilding has been a tradition among Assyrians from the ancient days all through the present time. Eloosh Khoshaba, the Assyrian bodybuilder and actor who competed at the international competitions in the 1960’s in Europe preceded such Hollywood notables as Lou Ferrigno (the Incredible Hulk) and Arnold Schwarzenegger. Be sure to track all of Ms. Nancy Oshana’s upcoming athletic achievements and show your support with your presence at her shows as Zinda Magazine follows her victory-trail on through the national and international competitions. But for now, Nancy invites us all to satisfy our deepest appreciation and eager eyes with her exquisite photos at www.nancyoshana.com. (ZNDA: Washington) On December 9 in a memorandum to the Secretary of the State, Colin Powell, President Bush designated the Assyrian Democratic Movement and four other Iraqi opposition groups as the "Democratic Opposition Organizations" under the Iraq Liberation Act of 1998. This ‘Presidential Determination’ allows each of the five groups to receive U.S. Government financial and material assistance. President George W. Bush has now directed the Pentagon to provide up to 92 million dollars in military equipment and training to groups opposed to Iraqi leader Saddam Hussein, the White House said today. The five groups are the Assyrian Democratic Movement (Zowaa), Iraqi Free Officers and Civilians Movement; the Iraqi National Front; the Iraqi National Movement; the Iraqi Turkmen Front; and the Islamic Accord of Iraq. The other Iraqi opposition groups already on this list are the Iraqi National Congress (INC), the Supreme Council for the Islamic Revolution in Iraq, the Kurdistan Democratic Party (KDP), and the Patriotic Union of Kurdistan (PUK). Pursuant to the authority vested in me as President of the United States, including under section 5 of he Iraq Liberation Act of 1998 (Public Law 105-338) (the "Act"), I hereby determine that each of the following groups is a democratic opposition organization and that each satisfies the criteria set forth in section 5(c) of the Act: the Assyrian Democratic Movement; the Iraqi Free Officers and Civilians Movement; the Iraqi National Front; the Iraqi National Movement; the Iraqi Turkmen Front; and the Islamic Accord of Iraq. I hereby designate each of these organizations as eligible to receive assistance under section 4 of the Act. You are authorized and directed to report this determination and designation to the Congress and to arrange for its publication in the Federal Register. We like to express our deep gratitude and limitless thanks for your recognition of the Assyrian Democratic Movement "ZOWAA", as an Iraqi Democratic Opposition Movement. The Assyrian people worldwide are grateful and moved by your kindness and respect bestowed upon them by mentioning them in your recent speech. Further more, they are greatly alleviated by the above action, which represents a great reward for their plight. We like to use this opportunity, to extend our heart-warm congratulation to you and the leadership of the Assyrian Democratic Movement, for having your Movement recognized by President George W. Bush as one of the main Democratic Iraqi Opposition entities. At the same time, we at the BNDP are proud to be part of the effort staged by officials of our sister organization, which made the above recognition a reality. This victory, is not of ADM or BNDP solely, rather a major victory for our Assyrian people worldwide. We will continue to maintain close working relations with your Movement until our Nation retains its Nationalistic status and full rights in tomorrow's Iraq. During the period of October 24-25, 2002, three Assyrian organizations GHB (Beth Nahrain Liberation Party), ANO (Assyrian National Organization), and (BNU) Beth Nahrain National Union, met in one of the European capitals. The latest regional and international events and their present and future implications on our Assyrian Chaldean Syriac nation were addressed during the meeting. 1. The refusal of all scenarios that asks for the occupation of Iraq and puts it under foreign mandate. 2. The necessity for the undergoing of the expanded opposition meeting as soon as possible. This meeting must include all the active Iraqi groups. It is imperative that an inclusive national agenda be agreed upon based on the unity of the land and the people of Iraq and its complete independence. Furthermore, a national transitional government be set to undertake the responsibilities in the transitional period in order to avoid chaos, acts of revenge, and to prepare for the establishment of a free democratic multi-party Iraq based on a permanent constitution, which will be instituted by the elected parliament. 3. The refusal of the proposed political projects that undermines the legal rights of the ethnic Assyrians and Turkomans. 4. The unification of the political agenda through the establishment a broad national front inclusive of all political activities for our people in Iraq and abroad in accordance to the requirements of the period. Furthermore, preparations should be undertaken for a project that translates the vision of our people for the future Iraq in some sort of a Declaration of Principles. It is of utmost importance that the European Union directs its attention to the alarming situation as regards violations of the political and religious freedom of Christian minorities in the Middle East. At stake are fundamental human rights guaranteed by international law. In particular, one of the ancient ethnic groups in Turkey and Iraq, the Assyrians/Syriacs, is near the point of extinction. Before the Gulf War 1,5 million Assyrians/Syriacs populated Iraq. Today this number has decreased to 0,5 million inhabitants. There are currently estimated 10-15,000 Assyrians/Syriacs left in Turkey. The Assyrian/Syriac people have a precious cultural heritage of great importance for the entire civilized community. Nonetheless, Assyrian churches and monasteries are being systematically confiscated or even destroyed. With every international crisis in the Middle East, the Assyrians/Syriacs as well as other Christian minority groups have been targeted by both fighting sides, as they found themselves caught in the middle of different political and religious power-constellations. At present, there is strong concern about the situation of Assyrians/Syriacs in Northern Iraq. On the other hand, Turkey has not improved its record as regards the religious freedom and property rights of Christian minorities, in spite of recent changes in national legislation. The Commission states in its Strategy Paper on the enlargement that Turkey has made noticeable progress towards meeting the Copenhagen political criteria. This is not enough. It is time that the EU made clear to the Turkish administration that it expects full and proper implementation of the Copenhagen criteria as a pre-requisite for EU membership. The Assyrians/Syriacs represent an original Christian group in the Middle East. Along with other religious minorities, they need to be officially recognized and be allowed to effectively enjoy their basic human rights by governments and national authorities. It is therefore of great importance that the EU demonstrates stronger concern for the plight of the Assyrian/Syriac people, by bringing the issue of their political and religious rights and indeed of their very existence to the main political agenda. The situation of the Assyrians/Syriacs was raised in an open hearing in the beginning of October 2002 in the European Parliament arranged by the Nordic Christian Democrats. the recognition of the genocide of 1914-1918 (Assyrian Sayfo) committed by the Turkish state against the Assyrians. However, the trial on Yusuf Akbulut, who is priest of the Syrian-Orthodox church in Diyarbakir/Turkey, aroused interest on the international level. On April 5th, 2002 the judge concluded the case with an acquittal and thus this incident emphasized anewly its importance for the Assyrians. Assyrians and was therefore charged with incitation of the masses. “... an Assyrian priest in Turkey, was arrested by Turkish authorities for speaking his mind on the issue of atrocities committed against the Ottoman Empire's Christian minorities during the First World War…”. Similar complaints were also addressed to Turkey by the European States, and the Human Rights’ Organizations. The actions of the Assyrian affiliated organizations in Australia led to the recognition of the Genocide by the government of New South Wales on August, 5th, 2002. This is a historical milestone for the efforts of the Assyrians. UN and the European Convention of Human Rights, respectively. Therefore the Genocide committed against the Assyrians is to be viewed as a criminal act and condemned all over the world. Not taking responsible actions at this time surely does not reduce the responsibility of the culprits, for there is no end to the calamity of such a heinous act. There is no worst thing than a state policy intended to eliminate systematically a people with a specific ethnic identity. In this dossier the facts of the Genocide are illustrated in detail, including the historical context, the sources and the proofs (reports of the surviving eyewitnesses). Moreover, the above mentioned file will be compared with the theses of the state of Turkey and the international legal position will be quoted. - The responsible Turkish persons of those times have to be found guilty: guilty of the Genocide committed, guilty of appealing to the Genocide and guilty of accomplice. - The Turkish state has to accept the responsibility for its crimes during this period. This responsibility includes the duty to clarify and accept officially the Genocide against the Assyrians. - The Assyrian Genocide is also a crime with international implications. The United Nations (UN) and all its members have the right to demand this clarification and thus to support the Assyrian people in this issue. We request the worldwide public, the European governments and the Human Rights’ Organizations to support our petition. (ZNDA: New York) Sano Halo had just been asked if she ever wants to forget the loss of her homeland, the slaughter of her family and the taking of her name. "To forget what happened?" Halo, 92, repeated into her daughter's ear Sunday at Holy Trinity Greek Orthodox Church in Columbia. "Never, never you forget. You remember well the people you lost. "It was a beautiful world." Now, thanks to Halo's daughter, Thea, the world has a permanent record of Sano Halo's journey and that of thousands of other Pontic Greeks forced from their ancient homeland by Turkish soldiers after World War I.
Thea Halo's book, "Not Even My Name," chronicles a young girl's life from the death march out of the Pontic Mountains of northern Turkey, to the loss of her family and her eventual sale into marriage. Thea and Sano Halo were in Columbia for several days this past week as guests of the church. At a celebration in their honor Sunday, Thea Halo read from her book and parish children performed the dances of the Pontic Greeks. Columbia Mayor Bob Coble read a proclamation declaring Dec. 8 Greek Genocide Remembrance Day. Lt. Gov.-elect Andre Bauer read a proclamation on behalf of Gov. Jim Hodges. The slaughter of almost 3 million Greeks, Armenians and Assyrians by the Turks in the first half of the 20th century "was really the precursor of so much bloodshed this century," Coble said. "We still have to be aware of the suffering of the Greeks at the hands of the Turkish." The genocide, Bauer said, should serve as a reminder to all Americans of the result of bigotry and hatred. Over the years, the massacre of Pontic Greeks and the other Christian minorities of the time has been denied by Turkish leaders. As a result, much of this history is not well known outside the Greek community, said Frances Scarpas of Columbia, who helped organize Sano and Thea Halo's visit. "It's a very poignant story, and very true," Scarpas said. "I just won't read it any more because it's so horrific." Early in 1920, Turkish soldiers ordered all the Pontic Greeks to pack what they could carry and be prepared to leave in three days. The Greeks were then forced to march across the country. Many thousands died from lack of water and food, or from exposure. Sano Halo's mother was forced to leave a dead daughter by the side of the road when soldiers would not allow her to be buried. Later, the remaining members of the family escaped. But food was scarce and choices worse. Sano's mother gave her 9-year-old daughter over to a Turkish woman who promised to care for her. But the woman treated her like a slave, changed her name from Sano Themia to Halo, a Khurdish name, and then at 15 sold Sano for marriage. The couple remained together, eventually coming to America and having 10 children. Joanna Beleos of Columbia already knew the history of Greeks' suffering for hundreds of years under the Ottoman Empire. But she had never met someone who had survived the horror. "I did know that a lot of Greeks in Asia Minor were killed and tortured, but this is just such a personal story." It is a personal story, Thea Halo said, but it is the result of a systematic erasing of a people's identity. The Pontic Greeks had been in Turkey for thousands of years. But today there is no trace of their homeland on maps, no community left to celebrate their roots. Said Thea Halo, "The effective eradication of my heritage left a void in my life." Courtesy of the Independent – Londong (5 December); by Kuldip Singh. (ZNDA: London) Having earned his cartooning laurels with The Observer and The Guardian in London in the 1950s and 1960s, Abu Abraham returned home to India to become a trendsetter and household name with his simple, but sharp drawings and caricatures and biting, satirical captions. Abraham - better known as Abu, the politically correct name he adopted at The Observer, appending it to all his later creations and writings - was unsparing, pricking pomposity and political chicanery with indolent ease. He earned enviable notoriety for criticising the prime minister Indira Gandhi's blind political ambition and dictatorial streak that led her to impose a 19-month-long Internal Emergency during which human rights were suspended, the press censored and all her opponents rounded up and jailed. At a time when many journalists chose to crawl, either out of fear or for personal preferment, Abraham stood up to the censors and drew scathing cartoons lampooning Gandhi and her courtiers. His cartoons of those repressive days were often referred to as "single-line editorials" as no paper dared speak honestly in its columns. After the Emergency, his prickly brush and equally barbed writings continued to fight injustices in the system. He was particularly incensed by the proliferating polarity of Indian society on religious and sectarian lines, disapproving of the Hindu nationalists who assumed power four years ago. Under Hindu nationalist rule Abraham declared that India faced a "communal explosion". He was born Abraham Mathew in 1924 in Mavelikara in southern Kerala state, into a middle-class Syrian Christian household, and began drawing cartoons and caricatures even before formally starting school. After graduating locally in science, he joined The Bombay Chronicle in the western port city of Bombay as a reporter in the mid-1940s. Alongside, he freelanced as a cartoonist for the popular, ritzy Blitz weekly that frequently published bold pictures of scantily clad women and lurid political exposes. In 1951 Abraham joined Shankar's Weekly, a satirical and humorous magazine that offered budding writers and journalists a platform, as its staff cartoonist. The kudos he earned for his work gave Abraham the confidence to leave for England in search of fame and fortune two years later. Three years after moving to London, where his work included drawings for Punch, a series of stinging political cartoons in 1956 for the socialist weekly Tribune, then edited by Michael Foot, led to the Observer editor David Astor's offering Abraham a job. "I want to buy you out of the Tribune," Astor told Abraham and gave the impoverished cartoonist his appointment letter the following day. When Abraham presented his first cartoon on the Middle East issue then, as now, in great ferment, Astor asked him if he would consider a more "suitable" signature. Astor was of the opinion that cartoons on such sensitive and emotive subjects signed Abraham would give them an "unnecessary" slant. Abraham suggested Abu, a name his friends used: Astor found the proposition "suitably mysterious" and it was the cartoonist's nom de guerre for the rest of his life. Most people knew him only as Abu. Abraham left The Observer for The Guardian in 1966 and three years later he returned home to join the anti-establishment Indian Express newspaper in Delhi. Within two years his elegant and poignant drawings and directness of expression had captured the country's imagination and in recognition of his services he was nominated to the Rajya Sabha or Upper House of parliament for a six-year term in 1972. This appointment was ironically made during the tenure of Indira Gandhi, whom Abraham was to attack viciously a few years later. Abu Abraham had a tall drawing board and always drew standing, puffing on a cedar pipe, his shoulder-length hair cascading around him, oblivious to the noise and chaos that characterise Indian newspaper offices. A quiet, ruminative person, he was not insecure in his work and encouraged youngsters. If I can adopt that kind of a style for political cartoons, it would be a great achievement. It is very difficult to get that kind of simplicity and appeal. 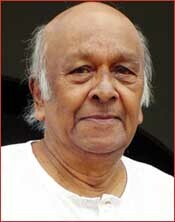 Abraham wrote several books, including Abu on Bangladesh (1972), The Games of Emergency (1977) and Arrivals and Departures (1983). He also produced No Arks, an animation film that won him a British Film Institute award in 1970. Specifically, sincere congratulations to ZOWAA for their most dedicated services, efforts, sacrifices to become recognised as an effective organization. Onward Assyrian Soldiers!!!!! The article of Mr. George Habbash in the current issue of Zinda raises many important and essential questions that need to be looked into. It seems that we have not learned anything from History. Kurds are entertaining and tolerating the Assyrians at this time simply because it suits them. It is very difficult for us to trust the Kurds and experiences that our nation has had with Kurds could not be swept under the rug just because a few of our leaders and Kurdish Leaders happen to be in the same boat at this time of our Nation's History. I hope I am wrong, but I am worried that as soon as the Kurds get want they want and perhaps with a lot of help from our so called leaders, they will turn to their old traditions, and who is going to protect us in Kurdistan then, the British or the Americans, we have had experiences with those too. This is the point of view of one man only who has learned to sleep with one eye open when among the Kurds. This article is written in an attempt to participate in the current discussions about the rights of the small ethnic groups in future Iraq. Solutions must be found not only for Iraqi main ethnic groups, Arabs and Kurds, but for the Iraqi smaller ethnic minorities. The establishment of newer provinces specifically for the smaller ethnic minorities will overcome all reasons of insecurities and apprehensions regarding the political future of Iraq. These fears have risen due to the latest recommendations of dividing Iraq between the two main ethnic groups, i.e. Arab and Kurds. These recommendations are leaving the lesser ethnic groups in the shadows of the larger groups without serious emphasis to the specifics that protect them, secure their future aspirations and goals in regards to ethnic, national, and human rights. There are good chances that these smaller ethnic groups will be left politically in the shadows of the larger and most powerful Arab and Kurds political groups where they will end up with nothing but a non-significant and pitiful considerations. In such pessimistic picture of the Iraqi small minorities political future, their legal aspirations in national, ethnic and human rights continue to be the prisoner of the guessing game and non-promising predictions. This deepens their fears of discrimination and persecution due to their smaller population compared to the Arabs and the Kurds. The latter gets the lion’s share in everything they desire whereas their voices to remain unheard. True democracy is not founded in the manner presented by some political organizations that are representing the larger ethnic groups. These organizations see themselves as the only political power in the national arena, where the small organizations have to be simply followers. We are not here to repeat what these powerful political organizations have done or intend to do in the regions that are under their control. These activities are well known to the smaller ethnic groups as previous actions of these powerful groups have failed to address their problems, anxiety, and aspirations. Therefore, we request the formation of a new province for the Assyrians within the geographical regions that they are concentrated in larger numbers. Such areas include Barwari Bala, Sarsank, and its suburbs, and the Assyrian villages in the Dohuk Province. Here we recommend that Kani Masi in the Barware Bala be recognized and made the center of the Assyrian Province. Similarly, we recommend that AlQosh be made another such province since many Assyrian villages, of the Chaldean sect, are present noticeably. The Turkomans ought to present their thoughts as Iraqi citizens also. A Turkoman province could be created to include the Talla’far and Tuz Khurmatu regions. In addition, a Yezidi province in the region of Sinjar can be established for the Yezidis. This way, there will be a national, ethnic, and human rights balance between the larger and smaller ethnic groups in Iraq. Everyone will feel as true citizen of the one land and one country and avoid the partition of Iraq between the powerful groups. This will ensure strength, self-confidence, the sense of national belonging, and human aspirations to the smaller ethnic groups. It will assure them peace, security, prosperity, and confidence as part of Iraq away from the tyranny of some of the large political organizations representing the large ethnic groups. The participation of intellectuals and politicians from all Iraqi fabrics in such important and vital discussion is necessary. It is a national duty of all Iraqis to be part of the establishment of the new Iraq. In conclusion I wish to state that it is my belief that this formula for the future of Iraq would guarantee peace and security for all ethnic groups in Iraq. Iraq is not the property of the two larger ethnic groups alone, rather it originally belonged to Assyrians, Yezidis, and Turkomans too, as well as Arabs and Kurds. Iraq should be a country for all without discrimination or special privileges for one ethnic group without the other. In Zinda Magazine's last issue a small article was posted in the News Digest section, titled "Hate Crime Against Assyrians in Canada". The information is completely not true, and it seems to be based on personal view rather statistical or consistent events. The message is garbage and misleading claim. Canada offers a success and community harmony under its laws. There is a negative side from Assyrian new comers to Canada, especially those came from North of Iraq. There have been certain individual Assyrians getting in trouble with the law and with other ethnic communities. They blame their misfortune on "hate against Assyrians" or on "Discrimination", rather solving their problem by getting a professional help. About seven years ago, a young Assyrian boy killed a young Portuguese boy by hitting him with a baseball bat. It happened when the Assyrian boy was bringing his baseball bat to Limeridge Mall in Hamilton, Ontario. The mall was full of people when this tragic incident happened. It caused great animosity toward the Assyrians by some people. Naturally, if we reverse our positions, we would have felt the same. The Assyrian boy does have deep psychological problem, and his parent blame their son's behavior on being a teenager, as growing up. They did not seek psychological help for the boy. The boy spent about five years in jail, because of his very young age. Were he an adult, he would have been incarcerated for over 25 years. Other Assyrians got in trouble because they lived in very bad areas, where crime rate is the highest. Areas such as "Jane and Finish" or "Jane and Steel" in Toronto. The Geographic area does play a part in upbringing a successful person. If a person spends an extra two hundred dollars, he or she will be able to live in a clean area, and not be subject to the level of danger as in the high-risk residential areas. It is wise for any one who lives currently in high-risk areas to move, even if, it will cost few hundred dollars extra. Consider the expense as an insurance and protection for your success, your life and lives of your loved one. The problem does not rest only on psychological or geographical issues. Adaptation and education are important factors to look at too. Few Assyrians for the past ten years committed suicides. One young Assyrian male jumped from his apartment balcony in Toronto, other young Assyrian female tried to kill herself in her apartment in Hamilton. The Assyrian female is still in a hospital for mentally ill patients. Being alone drives people to take their life. We don't have Assyrian clubs in any part in Canada that can serve without discrimination to Assyrians. There is one Assyrian club in Mississauga, where membership fee is over three hundred Canadian dollars a year, because they don't want Assyrians to join. The club is dedicated for certain people only, and raising the membership fee allows them to control the club and dictate their actions. Assyrians who are left out are taking their lives because their life is empty, as they live in a new country with no one to associate. Education also plays other parts in helping Assyrians get well in their life. Many Assyrians in Canada live in poverty or below poverty. This is because they work in gas stations or in stores, and have very low wages. A person who works in a gas station makes about seven dollars an hour. If that same person goes to college, he or she can get income from "OSAP" as guaranteed student loan, for the duration of his study of two to three years. The monthly income can jump to about $13 an hour. He can study to become Radiologist, Nurse, Mechanical Engineer, Chemcial Engineer, Electrical Engineer,and many other easy professional positions. However, many Assyrians don't know what to do, and don't know where to start. Canada consists of many cultures. Some may feel that we are the outsiders, aliens, strangers. We do feel the same about them too. Discrimination is not always a bad one, but hatred is. Each ethnic community, such as the Chinese, English, French, Arab, Kurds, Armenians, Italians etc. wishes to be closer to their community, protect their own language and heritage. We, the Assyrians, even so, we came before Arabs arrived in Canada have fallen behind and don't even have a social club that house social activities without any discrimination to its own community members. Our club has become the "Look but Don't Touch" establishment. Our success will not continue if we can’t move forward. The Assyrian International News Agency has set up a web page where you can conveniently send a "thank you" email to the president and vice president of the United States. The purpose of this email campaign is to show our appreciation for the recent historical action taken by President George W. Bush to designate five Iraqi groups as "democratic opposition organizations," making them eligible to receive U.S. financial and material assistance. Among the five groups was the Assyrian Democratic Movement (http://www.zowaa.org), the leading Assyrian political organization in Iraq. Please browse below page and send your email today. (ZNDA: New Jersey) The Syriac Institute is holding a fund raising raffle to celebrate its 10-year anniversary. The proceeds will go towards the Institute's Endowment, and the various projects of the Institute. While all those who work for the Institute do so on voluntary basis, the Institute incurs many expenses. The fund raising takes the form of a cash-prize Raffle: 35% of the money raised will be distributed as prizes. The first prize is 20% of the proceeds, the second prize is 10%, and the third prize is 5%. For example, if the Institute raises $10,000, the first prize will be $2,000, the second $1,000 and the third $500. Tickets can be purchased on a secure site online at www.bethmardutho.org (all donations are tax deductible in the US). 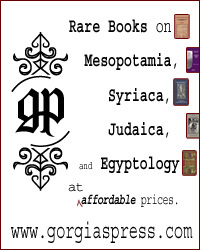 The Institute's major accomplishments during the last 10 years include publishing Hugoye: Journal of Syriac Studies twice a year (since 1998), adding Syriac to the Unicode standard, the design of over 20 Meltho Fonts for Windows XP, digitizing over 600 Beth Gazo melodies, and holding three international SyrCOM conferences on Syriac computing, in addition to numerous other publications and projects. Currently, the Institute is working hard to make available The Syriac Digital Library which will be the largest library of Syriac material in the world, accessible on the Internet. The Institute is also busy producing the first encyclopedia that is totally dedicated to the Syriac heritage. This year the Institute is partially supporting a student at Oxford, as well as the research of a scholar. All these activities require your assistance. Community members who wish to help in this fund raising by selling printed raffle tickets in their parishes and academic circles are encouraged to contact George Kiraz at gkiraz@bethmardutho.org to obtain printed tickets. We appreciate any help in this regard. (ZNDA: Chicago) Assyrian entertainer, George Gindo, has released a new CD titled "George Gindo 2003" featuring hits "Qorba yan Rikhqa" & "Ana w'Libby". Catch George and many other Assyrian entertainers at the Assyrian Media Center's 'CD Release Party' at Chicago's Eden's Banquet Hall on 14 December. Price: $40 including Dinner/open bar and a CD. 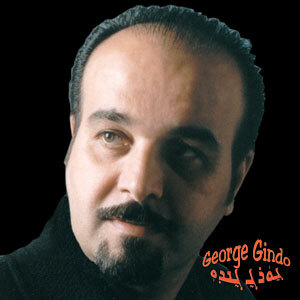 To purchase George Gindo's music, visit www.assyrianmarket.com. An international conference on the future of the Kurdish in Iraq was held in Paris on Friday, November 29th, 2002, from 9:30 a.m. untill 8 p.m. This conference, which brought together numerous political personalities, specialists and researchers around several subjects concerning the Kurdish and the peoples of Iraq, notably the Assyro-Chaldean, was organized by the Kurdish Institute of Paris, a non-profit organization founded in 1983, of which the president is Kendal Nezan. 500 guests, among whom 110 journalists and 30 nationalities, participated in this international colloquium, enclosed by a common press conference of Jalal Talabani and Massoud Barzani, the leaders of the two main political Kurdish formations, which unified after several years of intestine fights. The interventions of the various personalities were simultaneously translated into various languages. A prominent location was chosen for the debate with the public, and especially with the world press, present in the National Assembly in this room named Victor Hugo, in homage to the famous writer and poet, whose bicentenary is being celebrated at the moment. Nasreen Sideek Berwari, Minister of the reconstruction of the Kurdish regional Government (Erbil), and the only woman representing the autonomous Kurdish Government. Gérard Chaliand, Expert in geopolitics. The various personalities and specialists exposed their point of view on the current Status-co in Iraq, the situation of the Kurds and other people of Iraq, the political future of the regime detained by the iron hand of Saddam Hussein and the role of France and European Union on the conflict, before giving the word to the public and answering the questions and the comments of this one. As Assyro-Chaldeans, members of the indigenous people of Iraq, we consider that the conference was very well organized and led within the framework of a current events marked by Iraq. We would like to congratulate the Kurdish Institute of Paris for having managed to organize such a conference about the future of the Kurdish and the peoples of Iraq. On the other hand, we were profoundly disappointed and dissatisfied of the Assyro-Chaldean policy led by the Kurdish Institute, notably of its president Kendal Nezan, who considers the Assyro-Chaldean people, the true people of these lands who has a brilliant history of several millenniums, as a Christian religious minority but within Kurdish ethnic group. By inviting an Assyro-Chaldean political personality who is not representative of the Assyro-Chaldean living under Saddam Hussein’s regime and in the autonomous Kurdistan, he proved again that he has not changed his mind concerning the Assyro-Chaldean, that he does not still consider us as separate people. Should we give Kendal Nezan a course of history, someone who is part of the Kurdish intellectual elite in France and who fights for the rights of his people? In spite of this hypocrisy with doubtful origins, we congratulate Albert Yalda, the only Assyro-Chaldean representative to be personally invited to this conference, for having very well exposed the situation of his people in North of Iraq, while refusing to persuade, contrary to the majority of the speakers, that it is not all rosy in the autonomous Kurdistan and that the Assyro-Chaldeans are subject to exactions and repressions on behalf of the populations. He underlined the fact that the government of autonomous Kurdistan does his best in order to fight against these exactions and stop these attacks steered against the Assyro-Chaldean community of Northern Iraq, which is compounded of 150 000 persons. Besides, we do not approve the position of both political parties steered by Massoud Barzani and Jalal Talabani. The Kurdish Institute in Paris have made the error not to invite the representative personalities of the Assyro-Chaldean people. But these two parties could nevertheless invite the Assyro-Chaldean representatives of the parliament of autonomous Kurdistan. People of a million persons in Iraq were officially represented by a single person, whereas even more minority peoples had the right to an official representation by Ministers or politicians. We do not consider the absence of the Assyro-Chaldean as a negligence on behalf of the organizers. On the eve of this international conference, the Association of the Assyro-Chaldeans of France was inundated with e-mails and phone calls from various Assyro-Chaldeans political parties and organisations of the whole world. These parties were not informed about the holding of this colloquium, which refutes Kendal Nezan’s thesis. The representatives of the parties of the Assyrian Democratic Movement (Zowaa) the only public organization in the North of Iraq, were shocked by this unforgivable voluntary neglect. Can the Kurdish people fight for their rights by forgetting the other people? Are they not playing the same game as the regimes which forget their rights? In this region of the globe, no people can reach peace by ignoring the rights of the other peoples. The ignorance of the Assyro-Chaldean people by the various French, American, Kurdish or Arabic interlocutors was quite obvious. The French who discovered the Assyro-Chaldean archaeology and who shelter the vestiges of the glorious past of these people in their museums; the Americans who welcomed more than a half-million of Assyro-Chaldeans on their territory and who live on the battlefields of Vietnam; the Kurdish who lived and shared a way of life with the Assyro-Chaldean for centuries; and finally the Arabs among whom have lived more than a million of Assyro-Chaldean until these last years, underestimated our people and our history. How can the Arabs forget the Assyro-Chaldean young people who sacrificed everything and still sacrifice their lives for the Arab causes? In conclusion, we can say that all peoples of Middle East and the Near East walk blindly in a minefield. Why do we say that? Since the Assyro-Chaldean Voice has been interested in this conflict, which splits Iraq, nobody has convinced us of the utility of a war in the Near East. For months, we have participated in different colloquiums, conferences and debates in France and abroad and we notice that nobody knows what happens at present in the heads of the American leaders who create this fight between the different people in their own interests. The Americans distribute generously the hope and share fairly Iraq among the peoples who will see each other reduced to the submission and the American hegemony. Let the different political parties in Northern Iraq tell us that they had only one choice: follow the United States. Maybe they are afraid of being a part of the famous Axis of Evil. How many years will these poor people be tortured by the Americans who try only to protect their political, economic and strategic interests. The Americans must not forget the fall of the Byzantine Empire followed by the fall more recent of the Ottoman Empire, of the Nazi Germany which wanted to conquer the world, and finally the fall of the communist URSS, which caused the death of million of persons and terrorized the world. They had not to forget this: their force is not infinite. They have to stop attacking the small people to relieve their conscience if they are not able to attack directly their enemies! Nobody, during this conference, has evoked nor mentioned the possibility of a pacific solution for Iraq. If the war is unavoidable, the mission of the inspectors in disarmament is only powder in eyes and search of excuses to lead the war and in the only purpose, to laugh at the international opinion. In spite of all this, all this American and Westerner stage setting, we and you must not forget that Saddam Hussein is a dictator without pity and bloody who slaughters and makes kill his own people in his unique interest. Is he the only leader who doesn’t deserve the compassion of humanity? Dr. Ashour Moradkhan, the director of the Atra Project, returned to the homeland on December 7, 2002. He was much more hopeful this time. He talked about the fact that support for Atra Project has grown among the churches too not only financially, but also in terms of moral support. This is because “they are convinced that this is a humanitarian project suitable to their own welfare programs in Bet Nahrain. They realize that Atra Project fills a most important gap for our people in the homeland. That is to strengthen and revive the Assyrian family in different ways.” “The strength of a nation depends on the strength of each family in that nation,” he said. He believes that Atra Project has gained credibility because its accomplishments are visible and its records are open to all for inspection. The Church of the East in Arizona recently joined Bet Eil Assyrian Church in a firm commitment to support some of Atra Project’s humanitarian goals such as irrigation projects to water the 84,000 tree saplings that were planted in the year 2001, as well as the Protein Program to help the Assyrian families in the homeland to feed their children fresh meat and eggs. Through the efforts of Mr. Youel Baaba, a firm supporter of the Assyrian Aid Society and Atra Project, recently an American Presbyterian Church also made a substantial contribution. Atra Project’s long-term goal is to enable the Assyrian families to become economically self-sufficient. He expressed the hope that all churches will join in the support of this program; their moral support being more important than the financial one. “We need an organization that is supported by all the different denominations and serves as a bridge towards a united mission and effort, thereby a step towards unification.” He said.